Having served almost 17 years in the military, just three years shy of a pension, former Navy SEAL Robert J. O’Neill knows from experience: the transition from military service to a civilian career doesn’t come easy. Like many of his special ops brothers, Rob did not have experience in the business world, per se. No roadmap indicating where to go from here. Fortunately, Rob did find his way to a successful career as a public speaker and television analyst. Through his post-military career struggles and success, Rob chose to pay it forward by helping fellow veterans and military families in need. Rob is the co-founder of Your Grateful Nation (YGN), a nonprofit organization that provides individual transition support to special operations veterans. Offering everything from resume development, interview coaching, career assessment, mentoring, and job placement, YGN is proving that those trained in special ops are more than capable of making the transition from the battlefield to the boardroom. They know how to think under pressure and perform under the most stressful conditions. They believe in teamwork and loyalty. And they do what it takes to get the job done. With that skill arsenal, any company would be lucky to have them. Not all military service members are so fortunate. That’s why Rob is also proud to support organizations including Folds of Honor, which provides scholarships to the spouses and children of soldiers killed or disabled in service and Veterans Airlift Command, which provides free air transportation to combat wounded and their families. Considering this is the most sustained amount of time for combat the U.S has been engaged in, our veterans need our support more than ever. YGN partners with a variety of organizations and individual benefactors to sponsor an array of events—from backyard barbecues to black-tie galas. 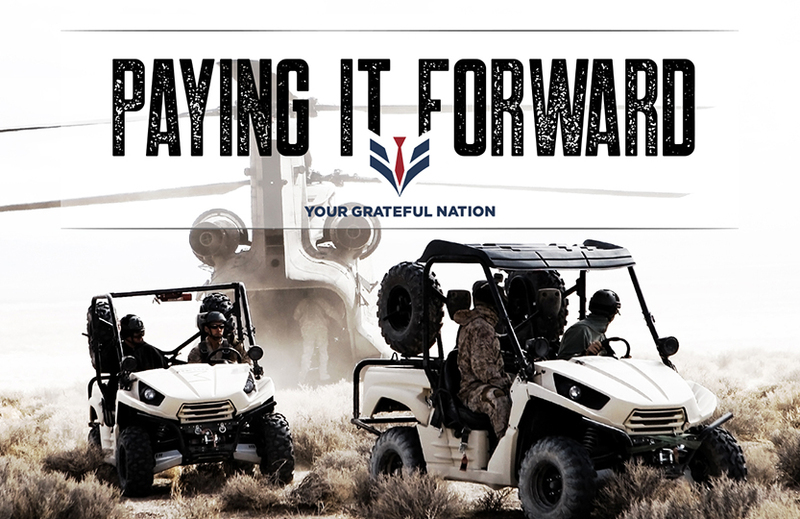 All of these events raise funds to help Special Operations veterans transition into their next successful career.